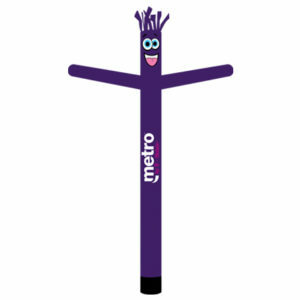 Variety of cell phone carriers inflatable tube man designs for cell phone carriers. Some available custom designs include Verizon wireless, MetroPCS, h2o Wireless, Cricket Wireless, and T-mobile. Customize these custom air inflated dancers as you like! With liquor stores, electronic shops, and many other locations now able to do prepaid and bill pay, it is important for you to capture the customers instead of your competitors. Our stock and custom inflatable tube man are designed to easily capture anyone passing by your location. Standing 20ft tall, the text on on these air powered tube dancers is nearly impossible to miss. 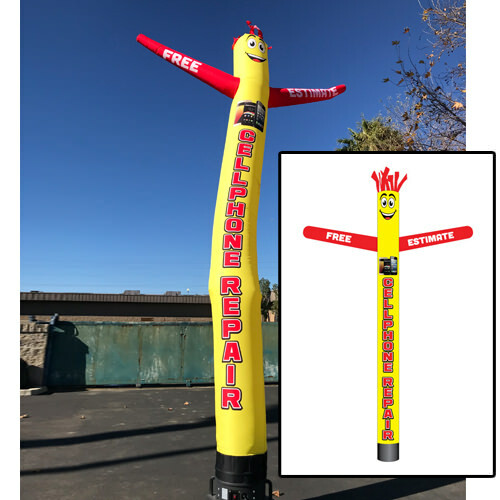 Since the inflatable man is visible from a distance, your customer has more than enough time to read your message and turn into your shopping complex. 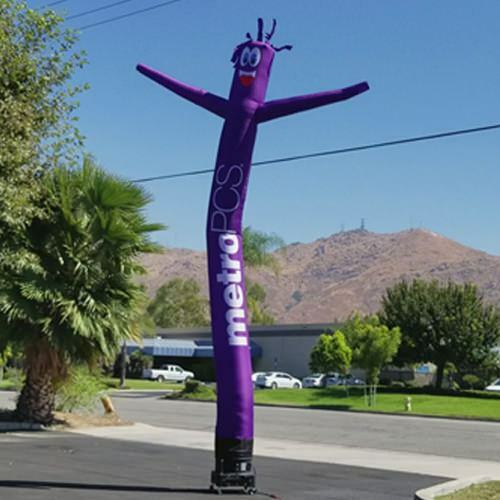 Our high quality and cheaply priced inflatables are a must have for any MetroPCS, h2o wireless, T-mobile, Cricket, Boost, or any other prepaid cellphone store. This small investment pays itself back within days, if not hours. 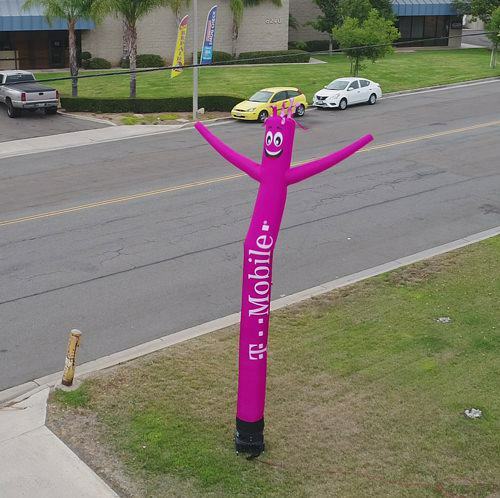 Increase your sales by up to 20%* by using this dancer outside during regular business hours (8 hours a day).